Seventy years after CoBrA was created, the Stedelijk Museum Schiedam honours one of the prominent founders of this international art movement: Corneille Guillaume Beverloo, best known by his first name. 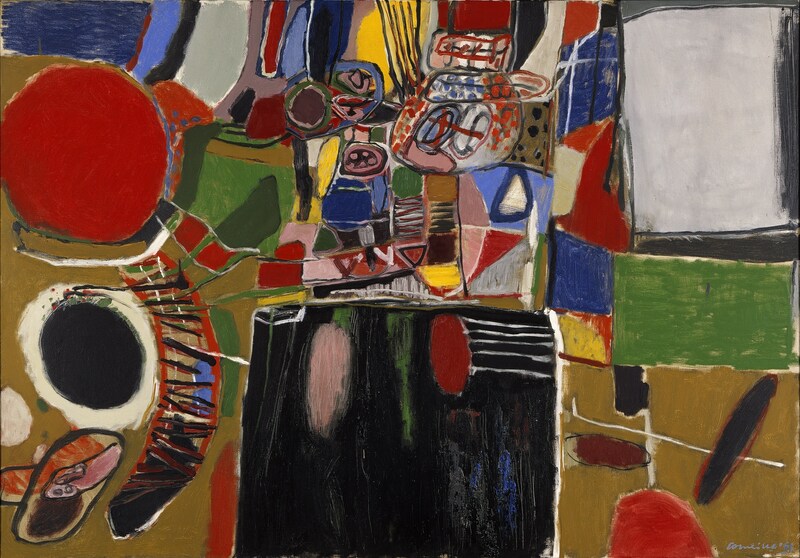 This extensive retrospective shows the colourful work that gained Corneille (1922–2010) international recognition, together with his sources of inspiration, the way he was influenced by other artists, his passion for long journeys and his love of African ethnographics. 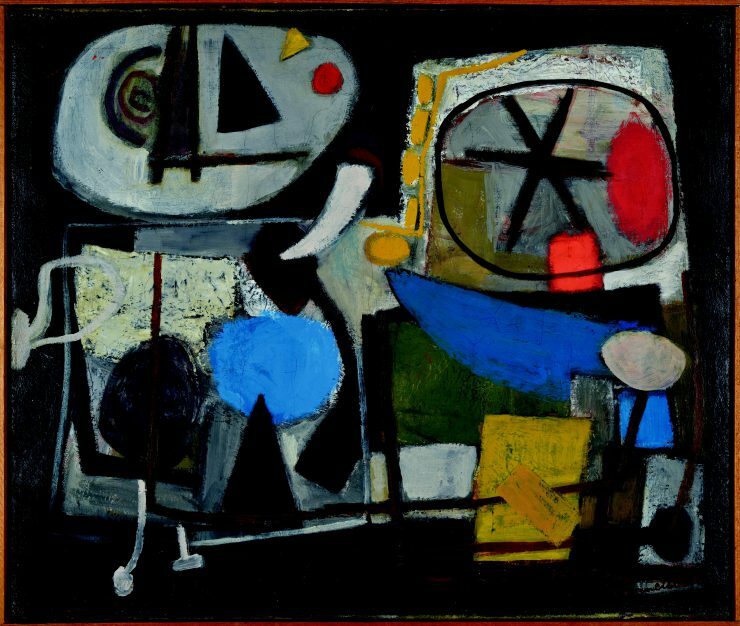 Apart from paintings, graphic work and drawings by Corneille, there is also work by artists that he admired, including Paul Klee and Karel Appel. In addition there are ethnographic objects that inspired him. On his death Corneille left four studios full of African masks, a continent full of inspiration. And there are also nature photographs of his far journeys to Africa, Mexico, Brazil and Cuba. Corneille was born in Liège, Belgium, on 3 July 1922. His parents were Dutch. In 1940 he settled in Amsterdam, where he took lessons at the Rijksakademie van beeldende kunsten. Here he met Karel Appel and was inspired by Vincent van Gogh. During his lifetime Corneille read all his letters and admired his use of colours. When he died, in 2010, he was buried next to Van Gogh at his request, in Auvers-sur-Oise in France. 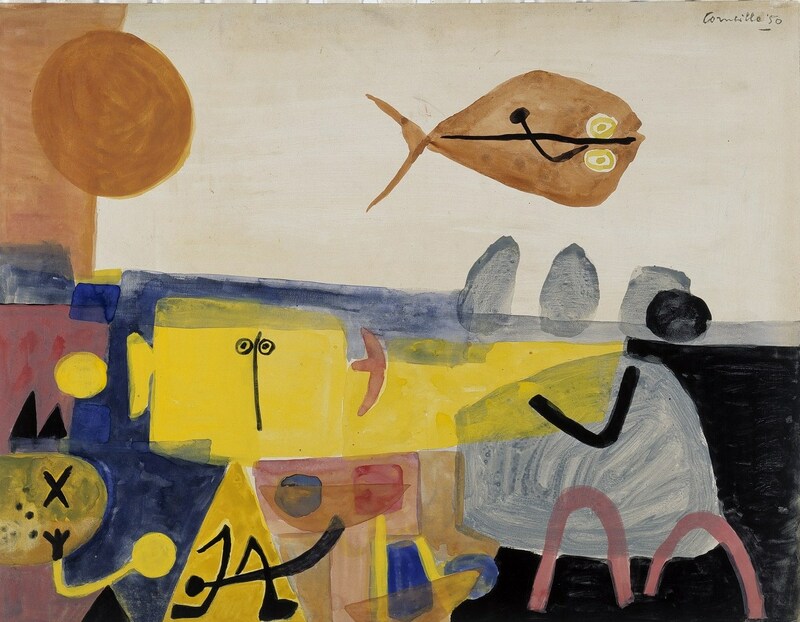 From 1947 onward Corneille traversed the whole world. In imitation of Paul Klee he travelled to Tunisia. In 1948 – exactly 70 years ago – he founded the Experimental Group in Holland, in conjunction with Constant, Appel, Rooskens and Wolvecamp. Later in that year and together with Constant and Appel he founded the Amsterdam branch of the CoBrA group, the European movement with artists from Copenhagen, Bruxelles and Amsterdam. Another year later the controversial CoBrA exhibition took place in the Stedelijk Museum in Amsterdam. The media called it ‘an outrage’ and the newspapers had screaming headlines such as ‘Daubery, blah blah and messing about in het Stedelijk Museum’. 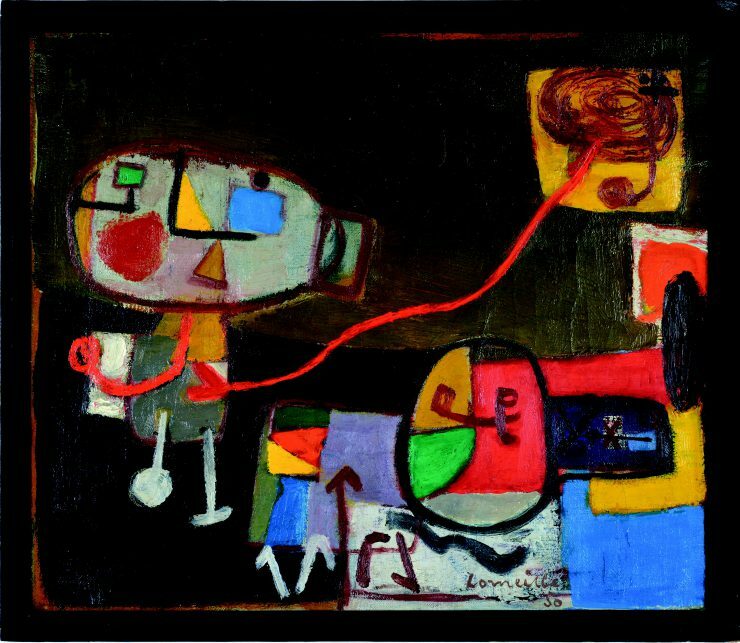 Whereas in 1949 Corneille’s work was still held up to mockery, he gained international success seven years later, when he won the prestigious Guggenheim International Award. In his CoBrA period (1948-1951) fantastic figures featured in his paintings: bizarre creatures that he had seen in the work of the Danish CoBrA artist Carl-Henning Pedersen. Likewise, the child-figures in the canvases of his friend Appel appealed to him. In the mid-twentieth century the Hoggar plateau in Africa introduced him for the first time to the forces of nature and a world of split-open rocks and stones. 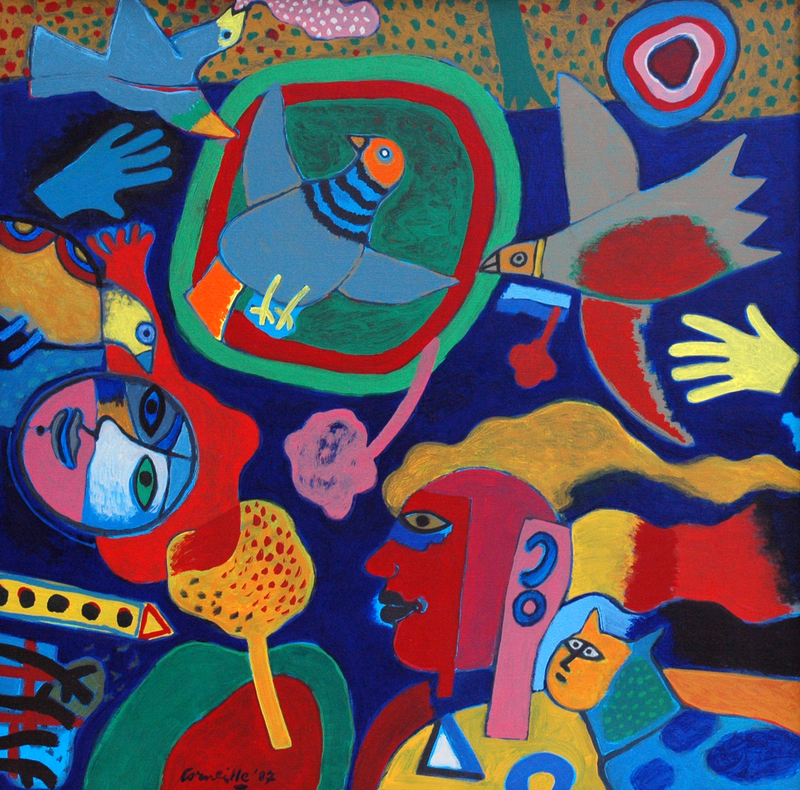 Corneille was one of the first CoBrA artists to have success on an international basis. His work was exhibited all over the world. But he enjoyed mounting acclaim with a wide audience especially with his ceramic plates, neckties, beer cans, wine labels, and even a Corneille tramcar and hot air balloon. In Schiedam the emphasis is on his artistry in painting, drawing and graphic work. 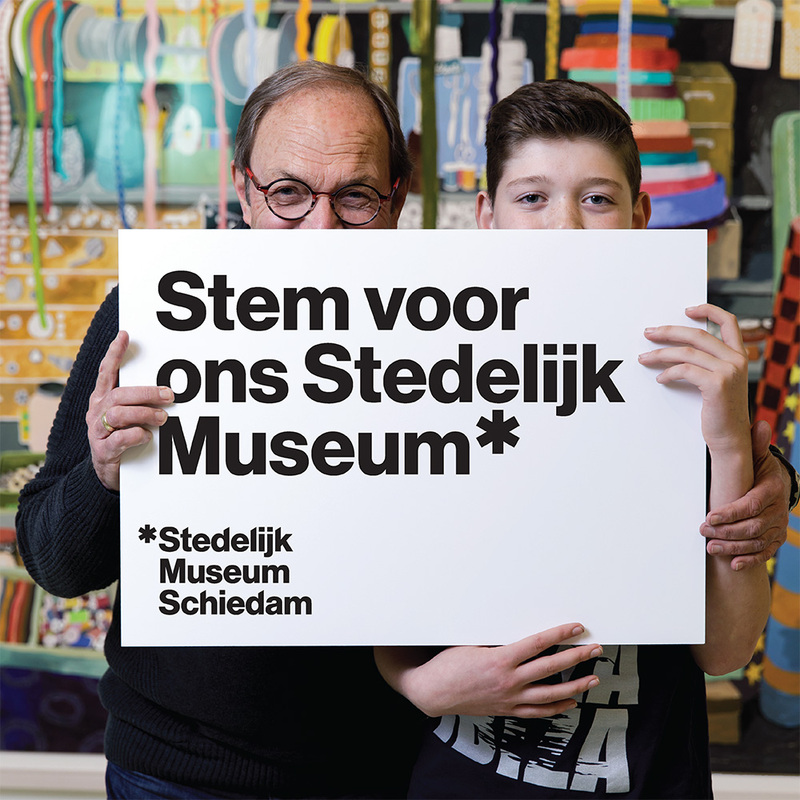 This exhibition is a joint effort with guest curator Maarten Bertheux and educational guest curator Brenda Zwart, both specialists in the field of CoBrA. As a curator of the Stedelijk Museum Amsterdam, Bertheux compiled a variety of exhibitions about this international art movement. The same is true of Zwart, who like Bertheux generated CoBrA exhibitions abroad. They selected works from museums and private collections in this country and abroad.